Getting my dream birth has been a serious, serious fight! I was so desperate for a home water birth which you can read HERE. Due to a previous C-Section, I was told that they heavily advise I do NOT go ahead with a home birth and went into the hospital. They spoke about being strapped the monitor throughout the whole labour process and being on labour ward. This is so far from what I want for my last birth that I really had to be a bit stubborn. I will always listen and respect what the Midwives and other medical professionals say but in this case I had to disagree and come to a compromise. With Iris I was determined for an active labour, I was desperate for a VBAC and was given early sweeps to help move her along so the risk of induction was reduced. I was promised I could walk around and stay active in labour but due to the monitor not picking up readings well when I was moving around I was asked to lay on the bed to check her heartbeat wouldn't drop. Well if you've read my Birth story with Iris, which is HERE, you'll see that at 4cm my waters broke spontaneously upon getting up to go to the toilet, I went from 4-10cm in 10 minutes and was pushing her out. This is one of the reasons why I thought a home birth would be sensible, just in case. 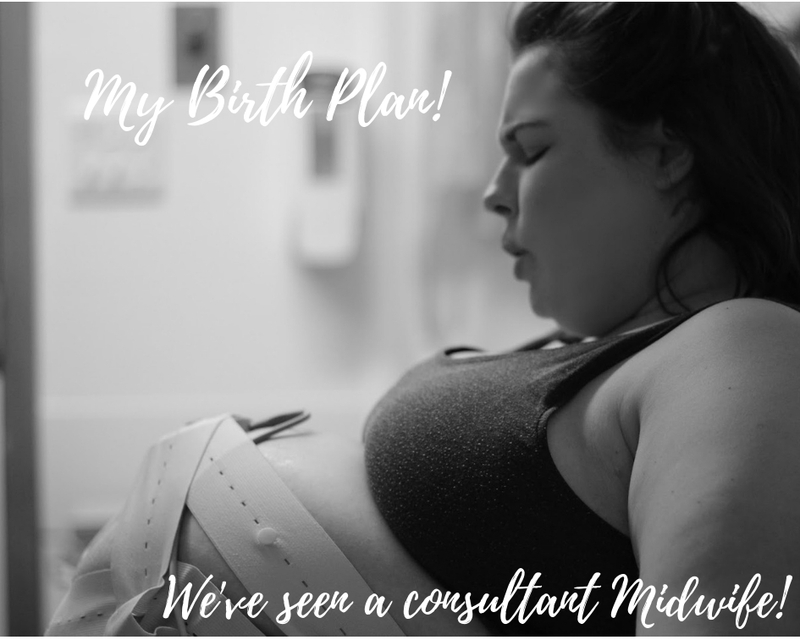 So, when I saw the consultant Midwife she informed me of all the risks with a home birth and truthfully I was frightened out of it - so much so I am now worried about giving birth at home. I keep seeing articles about heavy snow and panicking I wont be able to get to the hospital to give birth and an ambulance wont be able to get to me. It's horrible to be honest, I wish i'd just kept to the home birth now. What we agreed on was a water birth in the birthing centre, upstairs from the labour ward, just in case. It will be a more relaxed atmosphere, I can hopefully FINALLY have the birth i've wanted to an extent. I really want a water birth. I was asked if i'll get out the pool to push and I have said no, UNLESS Baby is becoming distressed or there is a problem or risk to Baby or I. With how quickly Iris came, i'm not completely concerned that this baby wont be a quick labour too. Nothing is certain, who's to say baby wont come super quickly at home, what if I am snowed in and the only option is to labour at home, something may go a bit off or I may have the perfect water birth, all I know is I will labour how i'm meant to but i'm just praying for a safe and healthy arrival of our little Moomin. I am really hoping to capture this on camera this time. Nice photos and some lovely video footage. Capture the birth and have it to look back on forever.